The Great Commission calls all of Christ’s followers to share the Good News. In the Nebraska Synod, we heed that call for those in our backyard who need to experience God’s love by participating in and supporting our Mission Field Nebraska ministries. Mission Field Nebraska ministries build partnerships that address critical needs within the Nebraska Synod by caring for those in need; providing a spiritually welcoming place for newcomers to our communities, our state and our nation; and seeking to share the Gospel in places where the Church has traditionally been unfamiliar. • Provide theological education for the pastoral leadership of Fontenelle Community Church and Sudanese Messiah Worshipping Community. • Enable Table Grace Café to provide its ministry of food and fellowship for all while providing job skills training to people in search of employment. • Provide pastoral leadership and program support for Nebraska Synod Prison Ministries and Followers of Christ worship in the Nebraska State Penitentiary. • Give rent support to Fontenelle Community Church and Nile Lutheran Sudanese ministry. 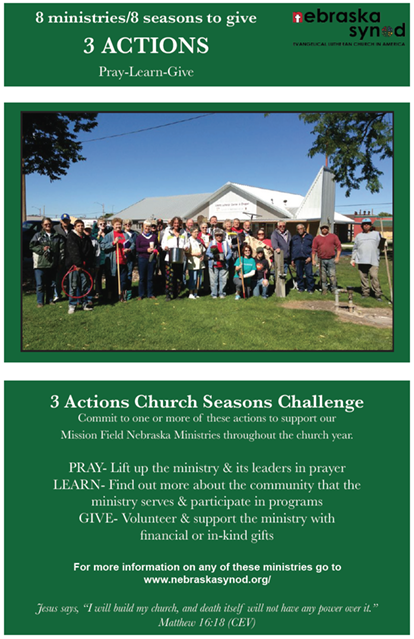 Your support is vital to the work of our Mission Field Nebraska ministries. Every gift will have a dramatic impact on the Nebraska Synod’s ability to respond to the spiritual needs of those in our midst who need to experience God’s love. 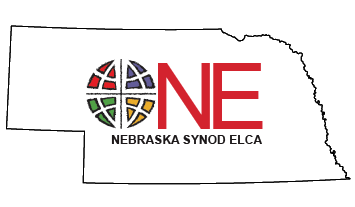 If you are interested in supporting the Mission Field Nebraska ministries of the Nebraska Synod, please visit our online giving site.